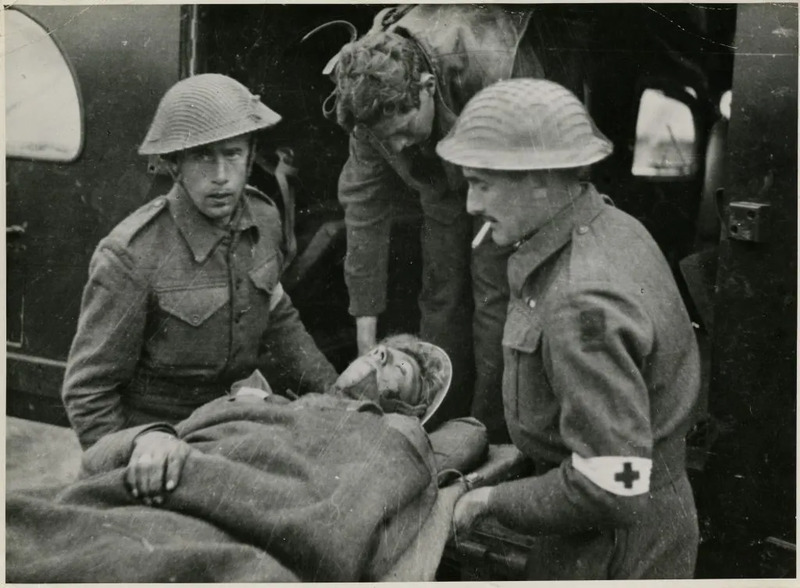 R. Bayly Winder IV (center) helping to load a wounded soldier onto a stretcher during World War II. In honor of International Volunteer Day (December 5), we’re sharing the story of a World War II AFS ambulance driver who exemplifies the AFS volunteer spirit. Inspired by his wartime service in the Middle East and Europe with AFS, American Richard Bayly Winder IV devoted his life to disseminating knowledge about Arabic and the Middle East. AFS provided an opportunity for Bayly to participate as a noncombatant during World War II, and in 1942 he set sail for the Middle East with his AFS unit. During his time overseas as a volunteer ambulance driver, Bayly was attached to the Speers Mobile Clinic near Beirut, Lebanon, which provided medical services in villages where no other medical care was available. Through this camp and his work in Palmyra, Syria, he encountered and interacted with local civilians and nomad Bedouins for the first time. After the war, Bayly amassed an impressive record of academic achievements, from teaching Arabic and Middle Eastern studies at Princeton to helping lay the groundwork for an overseas program in Arabic for American undergraduates on behalf of the Carnegie Corporation. Learn more about Bayly’s fruitful and impassioned career in our Fall 2017 issue of the AFS Janus magazine here.